The Mossberg 500, 12 gauge pump shotgun provides us with something that matters to most real-world shooters: Value. Value means something that works well and costs less than it's worth. And while some shot-gunners will read this and begin to rant and rave about "cheap" this and that; they can go ahead and use their "collector's model", artist engraved, sleek, precision....yada, yada, yada.... $3000 guns. I'll just keep blasting away with my $200 Mossberg. As will thousands of other shooters who have discovered this attractive, durable, and dependable pump shotgun. The Mossberg 500 shotgun is a mil-spec manufactured shotgun, meaning that it is not your collector's "finely tuned" gun. It means that it is produced to military specifications which emphasize generous tolerance, durability and dependability. The 500 pump shotgun is one of the most versatile shotguns on the market with interchangeable barrels. That allows the owner to change from sporting clay, to turkey, to waterfowl to deer without having to buy a half dozen guns. Important to the average hunter and shooter that is not wealthy. And the gun will keep on shooting due to the attention to the manufacturing particulars that matter. My Mossberg 500 shotgun is the all purpose field model and sports a 28 inch ribbed and factory ported barrel. Stocks are wood. 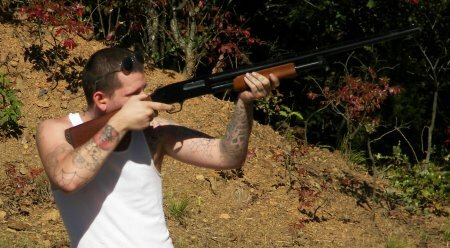 My gun is chambered for 12 gauge shells up to 3". I don't hunt at this point, with my use of the gun being sporting clays, that I love to shoot. And the light, fast pumping gun with front bead sight comes up and around quickly making even my average skills look more impressive than they are when busting lots of clays. The gun sports a convenient safety on the top of the gun. It can be quickly accessed with your strong hand thumb while your hand is in the shooting position. The Mossberg 500 pump shotgun has a capacity of 5 in the magazine and one in the chamber for a total of 6 rounds ready to shoot. 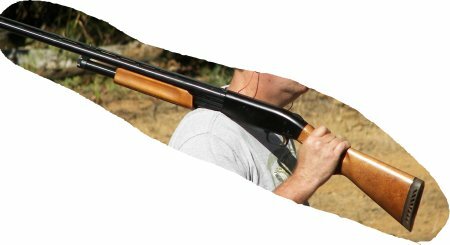 Recoil with this shotgun is average for a 12 gauge which means that shooting a hundred or so rounds gives you a satisfyingly sore shoulder. As far as speed goes, the gun is as fast as any pump, and utterly dependable. It comes in the box with 3 chokes and a wooden dowel plug for states that restrict the capacity of a shotgun when bird hunting. The wooden plug is a nice piece to throw away. After market metal plugs are available and are desirable if you have the misfortune to live in a state that requires it. BOTTOM LINE: The Mossberg 500 is a shotgun that is dependable and durable, manufactured by military specific standards. 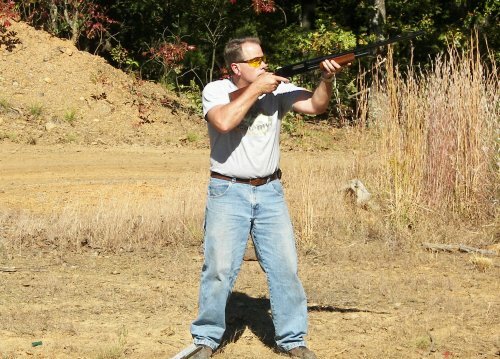 It is a fun, worry free gun that is a load of fun to shoot clays or hunt with. Mossberg makes a wide range of accessories including barrels that allow you to turn your gun into anything you want it to be. Those are the most important things. Then, you only have to pay about $200 for one new in the box. That means you have the added benefit of being able to throw it in the back of your truck, lay it down in the field, drop it, swat bugs with it or paddle a boat with it and not worry about hurting it. And that's worth a lot.